The New Jersey Devils have reached far past expectations so far this season with six wins through their first 11 games and that means fantasy owners should take notice. But as Sean McCullen writes, it’s not just Cory Schneider, Travis Zajac and Mike Cammalleri that should be drawing the attention of fantasy GMs. In fact, it’s players not known for their explosive offence that has McCullen eyeing the Devils lineup. “It’s one of Cammalleri’s linemates who caught my attention for this week’s Waiver-Wire Watch, which focuses on players owned in 20 percent or less of Yahoo leagues,” writes the NHL.com staff writer. The player – owned in just eight percent of Yahoo leagues – is Lee Stempniak. While he once put up 52 points (in 2006-07 with the Blues), Stempniak hasn’t scored more than 38 points since. But so far, through 11 games, the 32-year-old has eight points (2g-6a) for the Devils. An interesting pick-up for sure, Stempniak certainly is someone fantasy owners should keep an eye on. Don’t be too quick to press that add button just yet, however. As mentioned, the Devils are playing a better brand of hockey than most expected them to coming into the season. With the lack of overall scoring depth in their lineup, it’s given players like Stempniak the opportunity to play lost and pad those offensive numbers. That being said, it’s still early in the season and the Devils players could come back down to earth. If your leaning toward adding any of the Devils depth players, do so with caution. They may only be a part-time fix, but certainly keep Stempniak and others wearing the red and black on your watch list. While this next article focused on a single day – Monday – it does bring to light an important duo that fantasy folks should be targeting in any sort of league. But the focus in this case is on daily leagues and how this duo might be one of the best out there. And while Parker is referring to their matchup with the Leafs on Monday, folks would be lucky to get their hands on both of these players in any league or any type of fantasy play. That being said, aside from a daily league, it’s very unlikely you’ll be able to nab both of these Stars. For those daily fantasy fanatics, spend the money where you’ll get the most value. 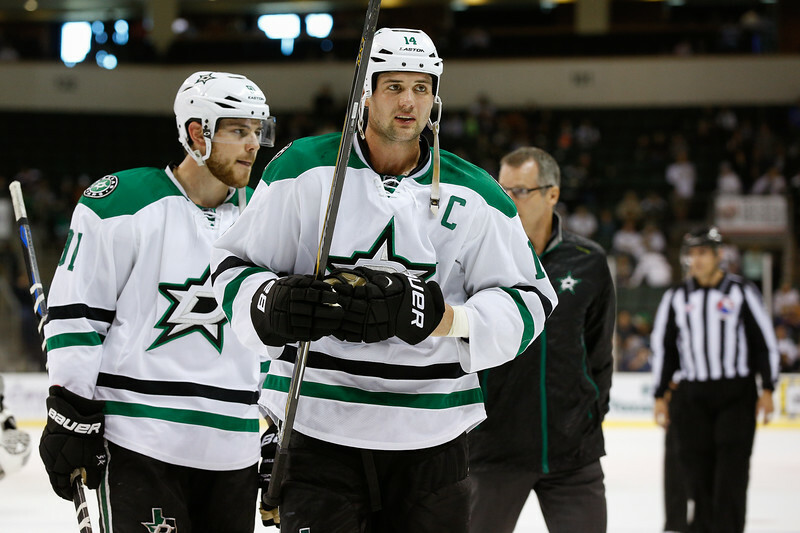 And when the Stars are playing, chances are the Benn-Seguin duo is a safe bet. More times than not you’re going to get your money’s worth with these two so don’t hesitate to put them in your lineups on Fan Duel, Draft Kings or whichever daily site you may be using. 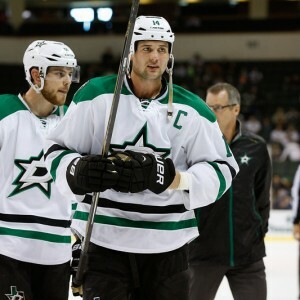 Benn has 18 points (10g-8a) in just 12 games this season while Seguin has notched five goals and 17 points in his 12 games. On top of that, Benn is one of the top powerplay performers in the league which adds even more value to a guy who’s topped out on fantasy rankings. My advice? It’s simple. In dailies, take the two of them as often as you can. In any other sort of league, it’s worth trying to acquire the likes of these two Stars if you’re looking for a league championship. For more fantasy hockey news, follow Andrew on Twitter at @AndrewGForbes.